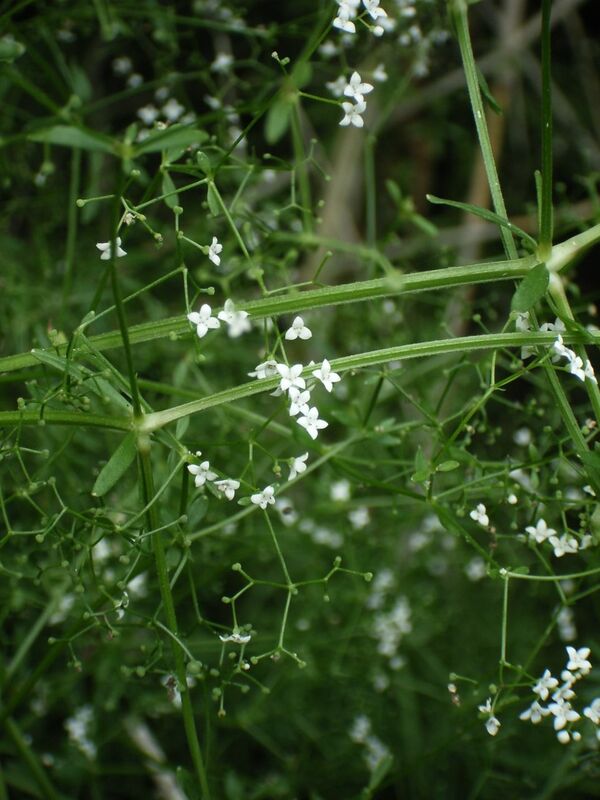 Galium palustre is a perennial herb, stems slender 20-60 cm long, 4-sided, minutely barbed on angles, sparsely branched. Leaves in whorls of 2-6, about 0.5-1.5 cm long, linear, blunt-tipped, margin rough. Flowers white, 4 parted, 0.4 cm wide; numerous, in many-branched clusters; blooms July- Aug.
Fruit dry, 2-parted capsule, 0.2 cm wide. Habitat: Open wet soil, marshes.